The use of illicit narcotic drugs is not restricted only to the teens and young adults. 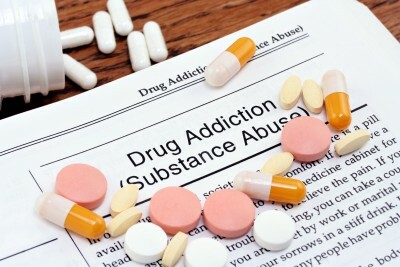 Once addiction develops it can be a problem to a person of any age. However, not every person using narcotics are addicted to these substances. Instead they may use it occasionally for recreational purposes, as a treatment for physical ailments and even mental health disorders. Although it is considered somewhat acceptable for the elderly to be using prescription medication with a narcotic effect, the idea of them indulging in street drugs is considered to be uncharacteristic for their age. However, the reality is that some seniors may be partaking in street drugs for various reasons that is often not understood by those around them. Substance dependence is a problem among all age groups. In seniors it is more often a case of addiction to prescription medication like painkillers and sleeping tablets. Addiction to illicit drugs, although uncommon among the elderly, is possible with a person who has been using narcotic street drugs from earlier in life. Often, however, an addict may not survive till the senior years. Painful chronic conditions that are not easily relieved by prescription medication may compel a senior to consider alternative substances like alcohol or even illicit drugs. Marijuana is one such drug used illicitly for pain management although medical marijuana can be legally prescribed in certain countries. However, various drugs may also be used by the elderly for pain relief. Sometimes illicit drugs are used for recreational purposes in a similar way to alcohol. It is a means of relaxing and possibly even enjoying certain social setting. The elderly are at times more adventurous and may partake in illicit drugs just to try something new. Even peer pressure can be a factor among seniors although it is often thought to be an issue among teens. Some of these drugs may also be used prior to partaking in sexual activities as it is believed to increase stamina. Depression in the elderly may occur for various reasons, some of which are linked to aging, chronic diseases, death of a loved one and the change in the social structure as a person gets older. Illicit drugs may be used as a means to deal with depression and induce a euphoria that counteracts the depressive state. The elderly may also be less likely to seek costly medical solutions for what is at times deemed as unnecessary ailments, such as with depression. Illicit drugs may therefore seem to be the cheaper option to counteract the depressed state. Why are illicit drugs dangerous? Illicit drugs as it is known is dangerous for all age groups. However there is the added danger for the elderly as the age-related changes in the body, chronic disease and the concurrent use of prescription medication can lead to dangerous side effects or drug interactions when illicit drugs are consumed. This means that the body of an older person may not be able to deal with the chemical effects of illicit drugs. Even the once off use of a narcotic or low doses can adversely affect one’s health and lead to death. The main problems lie with the changes in the cardiovascular system. Illicit drugs can speed up the heart rate, or drop it to a very slow rate, drastically increase or decrease blood pressure and causes abnormalities in the heart rhythm. This can lead to a heart attack or rob the brain of a sufficient blood and oxygen supply thereby leading to a stroke. The elderly with age-related deterioration of the body may not be able to survive these events. There is also the risk of illicit drugs hampering normal brain activity, worsening neurological diseases or even triggering some of these conditions. However, it is important to remember that while the risk is higher in the elderly, any person of any age group can be risking their health and life by using these illicit drugs. Therefore a person should not at any time feel that they are at less of a risk when using illicit narcotic drugs because they are younger or in better health than others. Illicit drugs should be avoided altogether and should never be considered as an alternative for prescription medication or useful in the treatment of chronic conditions.